Provenance: A handwritten note on the reverse states that this work was purchased from Spencer Jackson by Arthur S. Howard in 1962. Arthur S. Howard seems to have been associated with Kozminsky’s Gallery in Melbourne. Pl. no. 9 of Sydney Illustrated / by J.S. Prout ; with letter press description by J. Rae., Sydney, 1842-1844, 42 p.,  leaves of plates (3 folded) : ill., map. Comment: t. We have described this print as ‘lithograph, printed in colour, from two stones’ which is the way the National Gallery of Australia has described their copy. 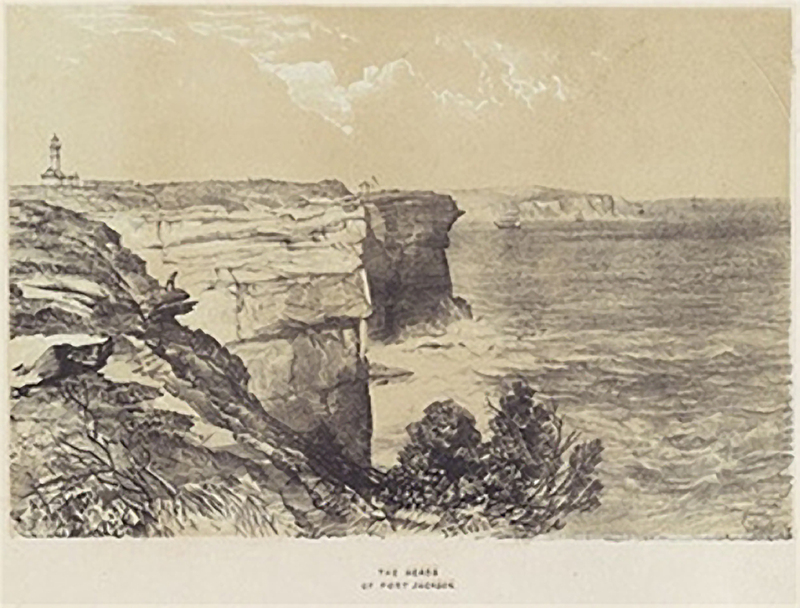 The National Library of Australia uses the description ‘tinted lithograph’.